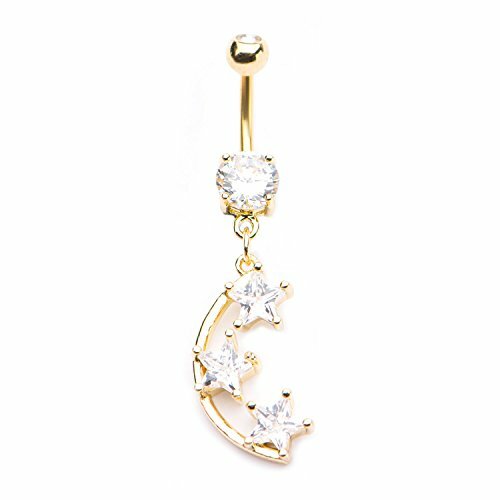 This gorgeous belly button ring features three dangling cubic zirconia crystal stars set into a crescent shape. 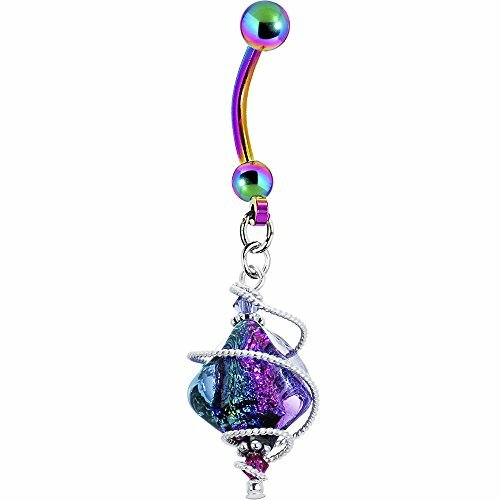 Perk Up any Outfit with this swirled Dichroic Glass belly ring. 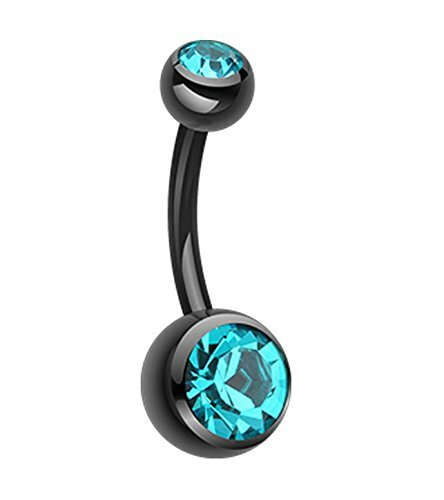 hand assembled Artisan crafted Body Jewelry designed with a solid curved barbell. 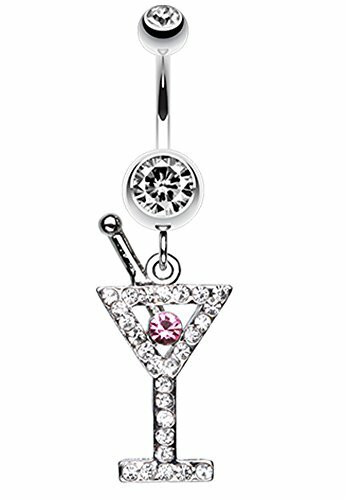 Created with Swarovski crystals Specifications: 14 Gauge (1.6mm), 7/16" (11mm), 316L Stainless Steel, 5mm and 4mm balls, Genuine Dichroic Glass, Created with Swarovski Crystals, Hand Assembled in the USA. 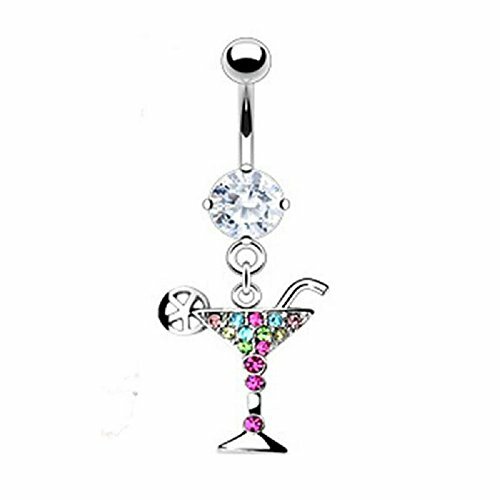 This lovely transparent aquamarine belly ring is made from recycled Bombay Sapphire Gin bottles! Express your hope for a green (and blue) future with jewelry made from recycled glass melted with sunshine. 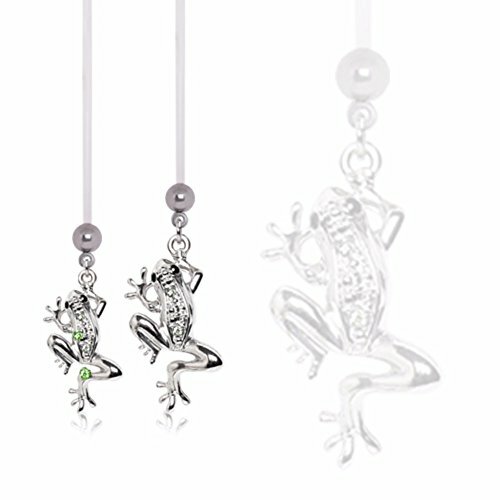 We use a unique solar heating process to sculpt the glass jewelry. By focusing sunshine through a 3-foot tall lens, we can generate temperatures of over 3000 degrees - more than enough to melt glass! Each sundrop is hand crafted by our artists in the USA.